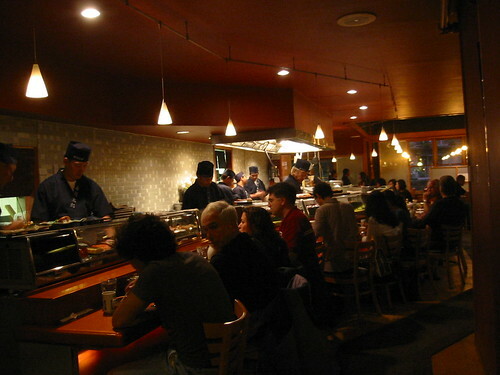 One of my all time favorite places for sushi is Sushi Taro in Washington, DC. 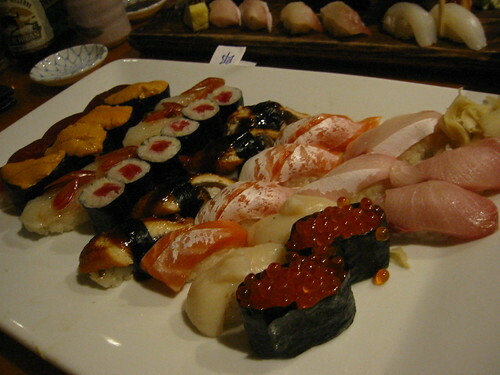 I suppose one wouldn't associate good Japanese with the city, but I was very pleasantly surprised. The bar. The rest of the restaurant, not pictured, is very cozy and homey. 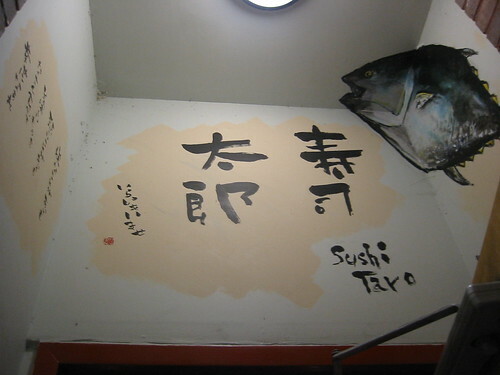 It's a very traditional Japanese place; not trendy, but clean, no nonsense, and warm. 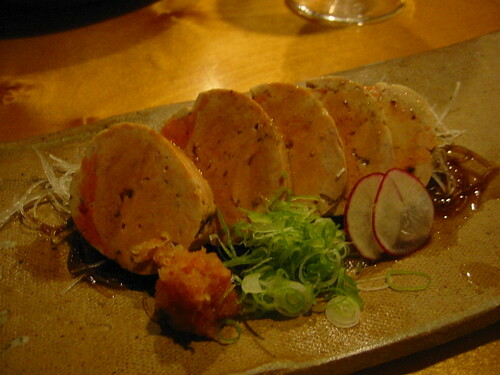 Monkfish liver. This was quite delectable. The dish was smooth and sweet from the freshness of the fish. The grated horseradish and green onions uncovered the slight "sea" taste. 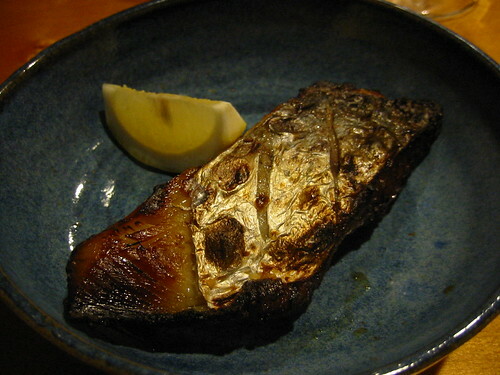 Sawara saikyo (broiled Spanish mackerel marinated in miso paste). The flesh was tender and juicy, covered by the crispy, flavorful skin. 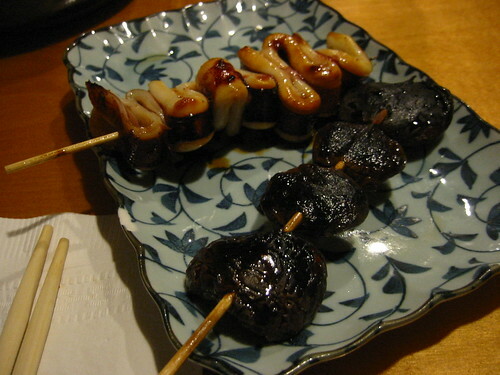 Squid and shittake mushroom yakitori. The mushrooms were interesting in that they were dry, not fresh and marinated as with other places. The shittakes were therefore a bit firmer and more pungent. The sauce was just the right sweetness, and overall this was great. 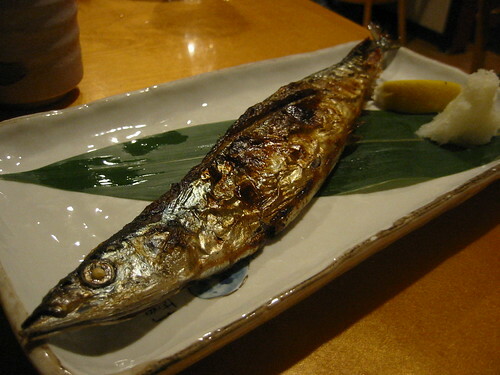 Broiled whole mackerel. 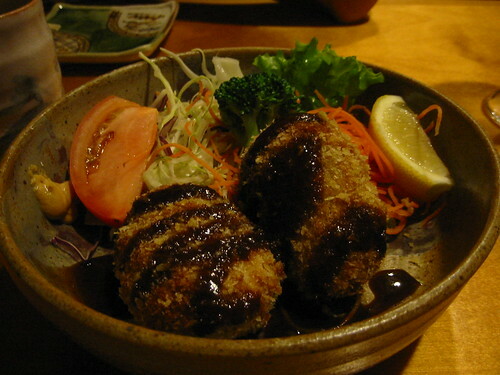 So this was the special of the night, and being the mackerel fan I am, I decided on it. I was a bit disappointed by this one--it was too salty, and somehow it was a bit soggy on the bottom. 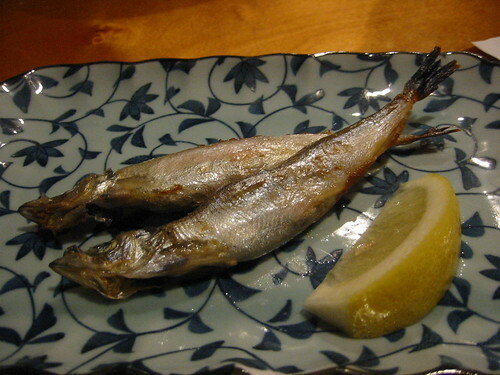 The miso marinated mackerel didn't have this problem, so I don't understand why this one did. Disappointing. 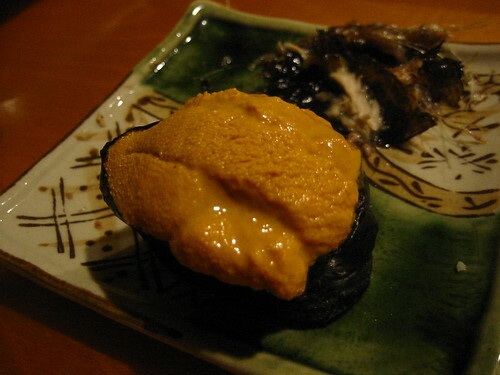 Toro, uni, ama ebi, hotate, fatty salmon, salmon roe, fatty hamachi, unagi, etc. etc.. The fish was buttery and so fresh, and the rice was cooked so perfectly as to complement the smoothness of the fish. While the rice maintained its structure, I could also distinguish the individual grains. Simply amazing. Sushi Taro goes down as a 9.5/10. I never came to expect great sushi from DC, but I was blown away. If I lived in DC, I'd come here every other day.